The life of the unpaid, overworked metal reviewer is not an easy one. Cascading promos, unreasonable deadlines, draconian editors and the unwashed metal mobs – it makes for a swirling maelstrom of music and madness. In all that tumult, errors are bound to happen and sometimes our initial impression of an album may not be completely accurate. With time and distance comes wisdom, and so we’ve decided to pull back the confessional curtain and reveal our biggest blunders, missteps, oversights and ratings face-plants. Consider this our sincere AMGea culpa. Redemption is retroactive, forgiveness is mandatory. As the second longest running hack writer for this here hackworks, I can trace my metallic lineage back to the spring of 2010. It was then that an overworked AMG Himself, burdened by dreams of internet glory, allowed your friendly neighborhood Steelness to come aboard and write insightfully punny reviews, and here I am 7 years later doing the very same thing. Over that virtual eternity I’ve had the very occasional indiscretion, misjudgment and odd score I’ve come to rethink in the fullness of time. As I don’t like to dwell on the past and prefer to focus on the future, I’d hoped I would eventually forget my mistakes and where the bodies were buried1. The AMG staff felt otherwise however, and so it is with great personal indignation and faux-humility that I’ve been forced encouraged to divulge my most embarrassing gaffes for the amusement of the metal mob. I feel so dirty. 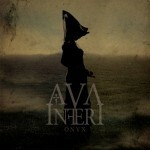 In all my years as a thrall to the AMG brainslave device, the album I felt most guilty about misjudging was Onyx by Ava Inferi. Though I gave it a positive review and a very good score, this album has stuck me with me like no other. I still spin it with startling regularity and there’s something very alluring and other worldly about it that defies a simple description. The fourth collaboration between Rune Erikson (ex-Mayhem, Aura Noir) and Portuguese songbird Carmen Susana Simoes, Onyx is the only part of their catalog that really grabs me. It’s ethereal, ominous, beautiful and eerie all at once and possesses a sense of wonder and something that feels like world-weary resignation mixed with innocence. Most importantly though, it has enormous staying power and a haunting, heart-aching catchiness. If you haven’t visited the strange and radiant world Onyx creates, you should book a trip real soon. 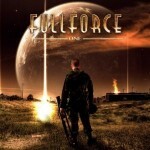 Full Force are a largely unknown progressive power metal act hailing from Sweden, and though I liked parts of their One debut a lot, I went pretty hard on it overall. A minor supergroup featuring members of Dream Evil and Yngwie Malmsteen, Full Force aimed for catchy, quasi-AOR prog-power not far removed from the Allen/Lande material. Though the album’s front-half really resonated with me and had some terrific songs, I complained that the back-end left a lot to be desired. A funny thing happened after penning my review though. Because I liked the first-half so much, I ended up playing the album a fair amount and slowly came to enjoy the remainder as well. The best stuff is indeed front-loaded, but overall it’s a quality album and the cuts I initially struggled with revealed themselves to be quite catchy over time. I apologized to the band in my review of their follow-up album Next Level, but now it’s official and I owe them no further regrets. The most heat I ever took as an AMG scribe was for my low score of Ghost‘s sophomore outing, Infestissumam. After being blown away by the band’s rocking debut, I was quite disappointed by the slower, and at times somnambulant pace and the carnival-style keyboard antics. It simply wasn’t the hard-driving album I wanted, though parts of it were fun enough. 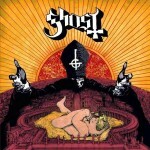 It was only after seeing Ghost live and hearing songs like “Year Zero” and “Monstrance Clock” in an amped-up setting that I started to come around and finally gave the album a second chance. To my surprise, it’s a decent album when approached with lowered expectations. Songs like “Secular Haze” are better than I remembered though hardly stunning, and “Ghuleh/Zombie Queen” has a cool 60s weirdness that grew on me over the years. I still hate the cheesy carny keys though, and Infestissumam is clearly their weakest release and the one I spin the least when in a Ghost-y mood. Happy now? Sheesh. 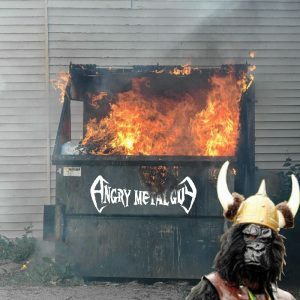 I was still in the carefree adolescence of my AMG reviewing career when AMG Himself handed me the new Amon Amarth album, Sutur Rising and bade me review it. I was a major Amon Amarth fanboy back then and in the excitement of a new album and landing such a high-profile review, I let my fanboyism get the better of me. 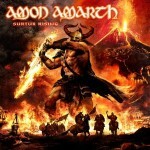 Though Sutur Rising is a solid and at times very enjoyable album, it certainly has more than its share of flaws and didn’t deserve such a rarefied rating. Cuts like “War of the Gods” and “Tock’s Taunt” are respectable examples of Amon Amarth‘s style, but overall this is one of the weakest releases in their catalog. Sutur Rising was my biggest ratings miss and it sends me into a shame spiral every time I think back on it. If nothing else, it taught me to approach much-anticipated releases with a vastly more cautious and cynical eye. I await the wrath of the Norsemen. 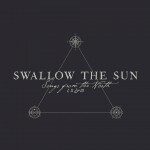 Swallow the Sun made big news with the release of their triple album, Songs of the North Pts I, II and III. They also triggered a fair amount of AMG in-house squabbling over the merits of a triple album and the level of success the band achieved with their mammoth work of Finnish doom-death. It was no easy feat to quantify what the band achieved over 3 full-length albums, each with an entirely different style. Weighing the pros and cons of such an elephantine undertaking and assigning a numerical grade was the biggest challenge I ever had as a reviewer. In the end I felt the majority of it was very good to great and went with a score that reflected that. Nearly two years removed from the release, the album hasn’t aged as well as expected and I rarely return to it. When I do, it’s solely to Part II. There is some strong writing across the 3 discs and they certainly deserve a lot of credit for having the guts to tackle such a monumental project, but the results are too mixed and the sheer size of the thing and refusal to self-edit makes it a daunting listening experience and one I rarely feel up to. There, it’s done. Are you not entertained? Now, where is my sponge bath?